(Seychelles News Agency) - Seychelles is planning to put in place a law that will protect agricultural land from being used for other types of development, a top government official said last week. A workshop on agricultural land evaluation was organised by the Ministry of Agriculture and Fisheries with the support of the Food Agricultural Organisation (FAO). Antoine-Marie Moustache, the principal secretary for agriculture, said evaluations will be carried out in which there will be a thorough assessment of all agricultural land. The evaluation will aim at finding out what state the land is in, the land's location and whether the land is being used for agricultural purposes. “During the 1980s and 1990s, the country lost approximately 25,000 hectares of agricultural land to other sectors. Some of these plots of land have not been developed or have been converted into residential areas. If we do not take stock now and put a stop to it, we will slowly lose what is left for agriculture,” said Moustache. 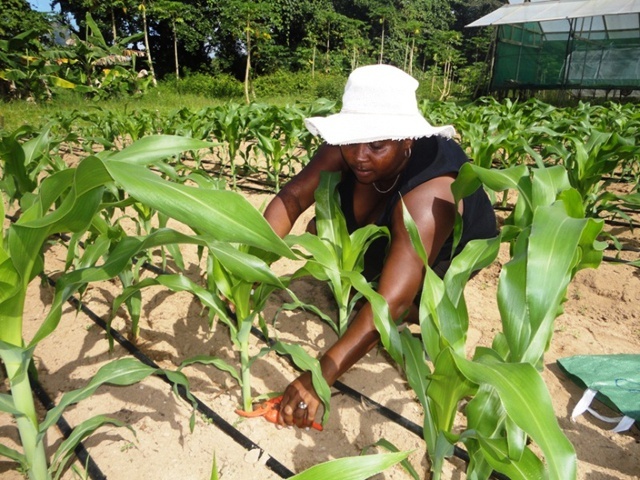 According to the Seychelles National Agricultural Investment Plan 2015-2020, there are 500 hectares of land that are being used for agriculture. The state owns 300 hectares while the remaining 200 are privately owned. The state lands are leased to individuals for specific periods and the minimum lease period is ten years. 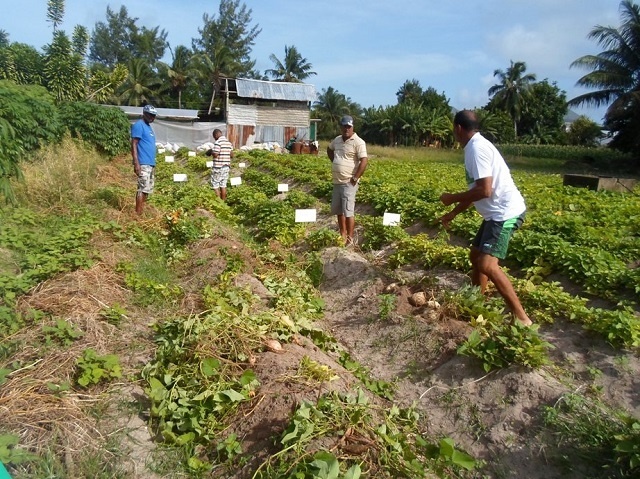 In an official visit two years ago, an FAO representative, Patrice Talla, said the potential for agriculture in Seychelles, an archipelago in the western Indian Ocean, still exists despite the challenges facing the island nation. “A lot of resources spent on importation could be invested in local produce. As agriculture is an important sector for Seychelles, it is always important to discuss what we can do to improve the sector to contribute more towards food security for nutrition in the country,” said Talla. He added that the Seychelles’ food imports have increased and amounted to 70 percent of the total national consumption. Moustache told SNA that this status quo can put Seychelles in a vulnerable position if ever there was a global calamity. “If ever there was an incident that would prevent ships and boats from coming to our shores, you can imagine what this would mean for our country. We need to ensure that we have food security at all times and we need to have a critical amount of land at our disposal for any eventuality,” said the principal secretary. “Two points highlighted in the plan is the absence of legal protection for agricultural land making it vulnerable to changed usage and poor land monitoring system resulting in poor land management and utilisation,” said Moustache. In the coming months, a series of consultations will be held with all relevant ministries and other stakeholders on Seychelles’ land use plan and how to have a system in place to valorise the land. “We need to decide on what portion of land should be set aside for agriculture and we need to protect these land through a law. Once the law is in place, no one will be allowed to use those land for other purposes other than agriculture,” concluded Moustache. The agricultural land evaluation to support sustainable land resources management is receiving technical assistance worth $165,000 from the FAO under an agreement signed in August 2018. The project will be carried out over a year.